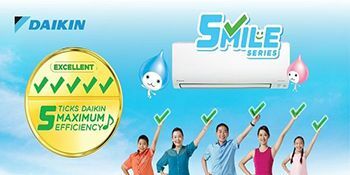 While being unique and different with your renovation is always a good thing, there are some aspects that are universally beloved by all Singapore citizens. Whether it’s about making your homes open, or whether it’s that one furniture piece that everyone is raving about, there are many ways you can make your home as stylish and beautiful as possible. Here are 5 interior design trends that everyone loves in Singapore! Everyone loves the idea of an open kitchen – and why not? They’re smart, fabulous and they make your homes look relatively more open and spacious than they’d ever look otherwise. Singaporians love tweaking with this aesthetic. 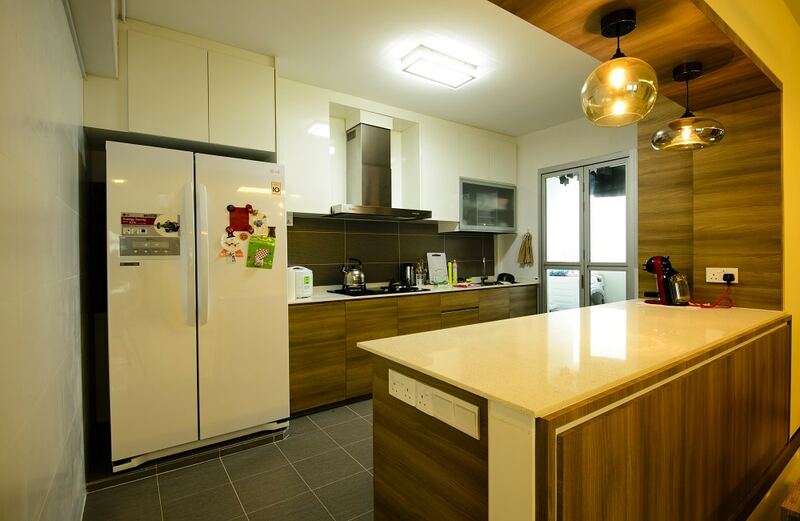 From creative breakfast bars to beautiful countertops that catch the eye, the open kitchen design is an all-time favorite of everyone in Singapore. 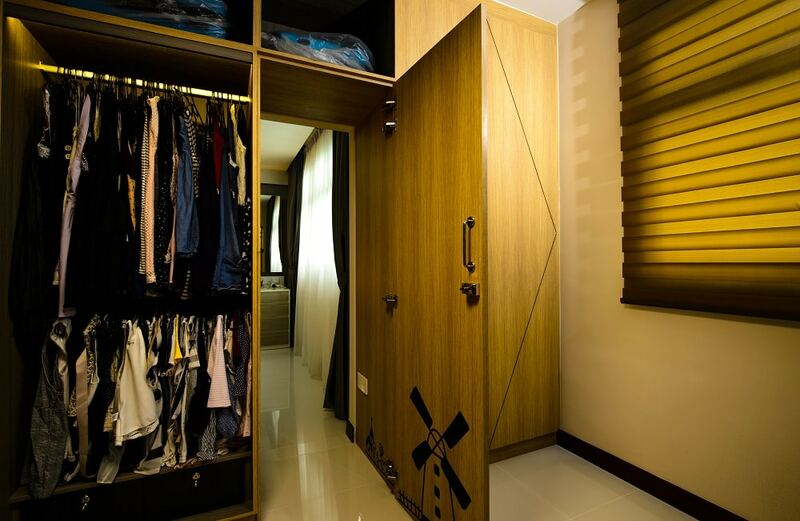 Even with the perpetual space shortage that has become characteristic of all Singapore homes, having a walk-in closet is still everyone’s Big Homeowner Dream. So even if they can only afford to go for a small one, many people opt for creatively designed walk-in closets. Some are hidden beyond actual wardrobes, while others can be designed by splicing the room in 2 unequal halves where the smaller half can be used for a tiny walk-in closet. 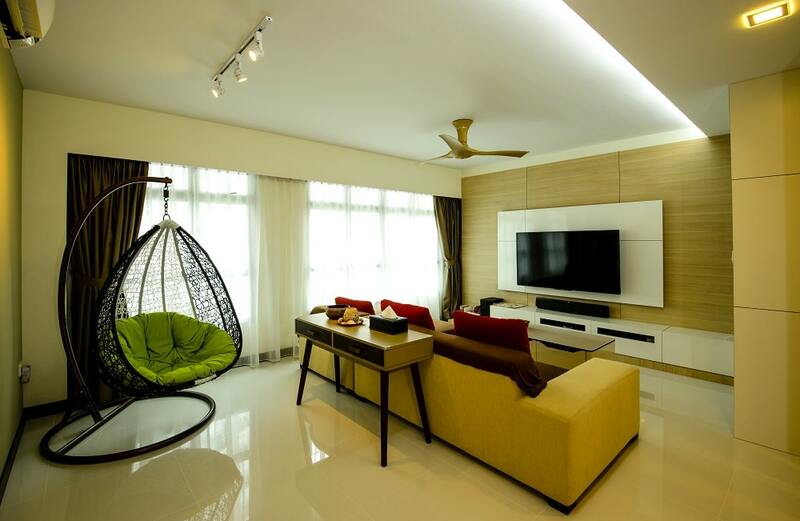 Whether it’s an actual living room or a trendy terrace, everyone in Singapore is absolutely raving about the swing chair. It’s comfortable and looks supremely inviting. It also has a stylish lattice-work done on the seat, which makes for an excellent addition to the aesthetics of a space. You should definitely go for this if you’re looking for a beloved trend in Singapore. Typical dining tables are all well and good, but people have definitely fallen in love with the picnic table aesthetic in Singapore. The best part about this choice is that it gives you a lot of leeway with styling. You can find a number of picnic style dining tables in the market – some are sleek and modern, while others are old-school and rustic. 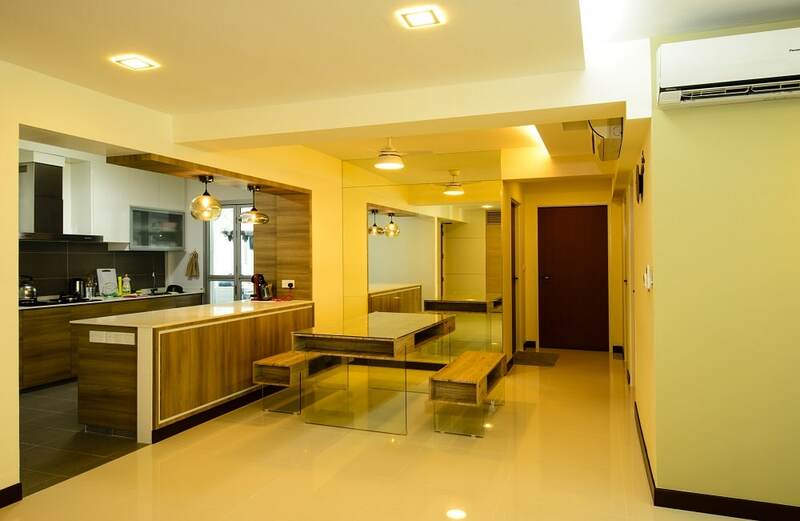 You can choose one according to your interior design style. Breakfast bars are another one of those ubiquitous interior design intervention that you’ll find in all modern Singapore homes. They’re trendy and useful – they give you a place to just cozy up with a bowl of cereal in the morning without having to set up an entire table. These are a must-have for everyone if you want something with equal amount of style and pragmatics.